Tagged books, discounted books, free books, Indie author, Indie books, pricing. Sort of torn on this one. I already charge .99 cents for the smaller shorts and novellas. I do not need another entity wanting money from me. A reason why I don’t belong to RAW is because I can’t afford it. I don’t get the majority of my sales from Amazon but from other retailers. I am not in KU and have no plans to enroll books in it. But in the end, I police myself as best I can. I try to put out the best book I can. For me any additional police of any kind would not be helpful. At the least it would keep me from writing and publishing any more books. I think that eBooks should be priced “accordingly.” When authors do promos, we can offer our books at sale prices. However, we need some consistency in what’s considered a fair price in a fair marketplace. If authors continually give their books away for free, we will never be able to compete fairly for a fair price. Already, readers have come to expect that they can get as many FREE eBooks as they want–hence, the popularity of sites like BookBub. To my way of thinking, indie authors are shooting themselves in the feet. An apt cliche! I love this post. I so agree. Why oh why are indie authors giving away their work. I value every minute I spend on a novel. We have set a horrible precedent. I would even go so far as to say that .99 is too low. I don’t know how much money multi-author boxed sets are making either at .99 a download. WE need to value our work. Free is not a price. P.S. if you look at the Amazon Kindle Worlds program their pricing is set at page count. And they never, as far as I know, put those books in special discount promotions. Thank you, Tracey, Wow! That comment about Kindle Worlds is an EXCELLENT point! I have to look into that. 99¢ books. Some still don’t. 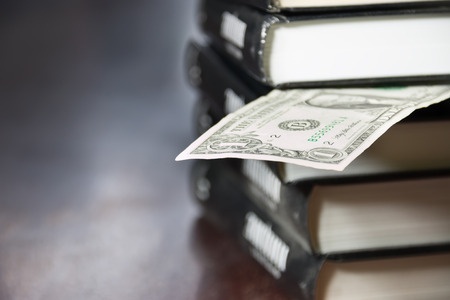 In 2014 more and more promoters finally offered indies slots for priced books. Amazon and promoters made the market what it is today. The fact as I know it, is that putting a title FREE gains exposure for a new indie author. It takes at least a year for a new indie to learn the ropes. No book sells without promotion. I know indie authors who made their reputations early on and built up reader platforms and fans by using FREE promotions. Now they seldom go FREE. I see FREE as a marketing tool-not as a reflection of my talent or the value I put on my work. I am not a best selling author, but when I promote, I see borrows and sales and an ROI. And thus far, the new KENP pay by pages read looks like a grand slam to me. Indie authors did not create the market climate. We still don’t. Readers are savvy. They will seldom pay full price for an indie book unless familiar with the author. New indie authors publish every single day and many titles continue to lack editorial input. Readers will take a chance on a new indie on a FREE book or discounted, but seldom on full-priced. Indie authors did create that buyer hesitation and still do by ticking that publish button before a title is ready for public consumption. The thing about buying a Starbuck’s latte is you know what you are getting every single time. You know how it will taste and look, no matter where in the world you order it because the recipe is the same by company policy and standards. That is not true with indie books. Again, great post and some terrific insights. I appreciate the opportunity to comment. Thanks, Jackie. I am curious as to how you feel about giving away a novella as opposed to a full-length novel. I’m floored by the number of people who never consider that. I can crank out a novella in a month or two as opposed to a year. Writing a novella as a promotional investment makes sense to me. Giving away a novel does not. Thoughts? Thanks! Diane: I don’t write novellas. I write long. I can’t help it. I am firmly in the camp of author choice. I know indies who make Novellas perma-free and promote the heck out of those to gain exposure to priced and discounted full length novels. It works well for them. I use short FREE book promos to gain exposure, new readers and reviews. I have always earned an ROI once the title returned to priced. How it works is a FREE download counts as one-tenth of a sale as far as Amazon paid stats once it returns to priced. Having a title in what I call, above the fold i.e. 5,000 to 500 on Amazon gets a title on popularity lists, and in those fab ‘also bought’ trailers that Amazon runs below a book page. Readers who find a new author on Free and like the book, go straight back to Amazon and buy or borrow the author’s other titles. I have never seen less than 2K ROI on a FREE within days of a unit returning to paid, and once 5K within 15 days. The faster reviews get posted after a FREE also helps keep the book in the public eye on Amazon. A really well-planned FREE campaign on a tile can generate sales and borrows for up to 41 days without so much as a Tweet or FB posting. But I’m happy if a FREE run generates sales/borrows/25-50 reviews over the following 10 to 23 days. There have been a lot of changes in our indie universe over the past two years. Right now the market is sluggish, so I’m running small/shorter 99¢ campaigns for a 3 day total sale of a little over 600 units on a 3 unit bundle. I get where you are coming from when you say, FREE doesn’t make sense. You are welcome to email me. I can share more data in a less public forum, so as not to take up so much space and time. I share facts. Because we cannot make the best decisions for our books on exaggeration and rumor.